What is a Native vegetated mat? 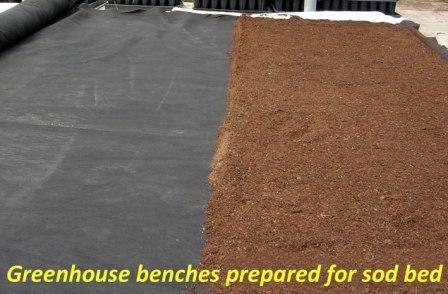 Native grasses and wildflowers are seeded into engineered soil with a lightweight core. 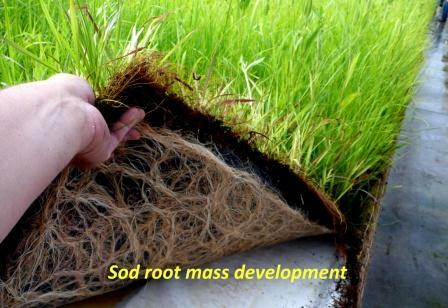 When the seed germinates and grows, it forms root mass through the core. Plants develop to form a lush prairie. Are there choices for native vegetated mat core material? Yes! Agrecol offers several choices, from durable long-lasting to fully biodegradable core material. Long-lasting core material has the added benefit of retarding weed growth. We will help you choose the right core for your needs. 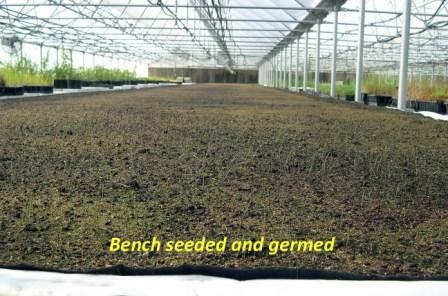 Are different species mixes available for the native vegetated mat? Yes! 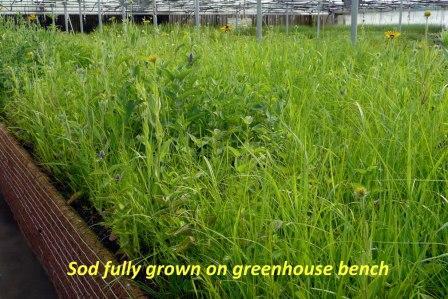 Native vegetated mats can be customized for all soil and sun conditions, and we will contract grow a custom mix that meets your specific project needs. Minimum order required. How much does native vegetated mat cost? The wholesale price is based on square yard cost. Price will be determined by species selection and core material. 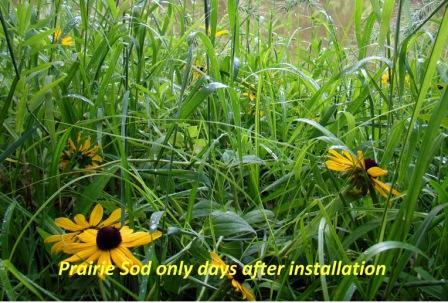 Just think of the savings in time and labor to create a beautiful finished low maintenance prairie! 12-16 weeks of greenhouse growing time is required. 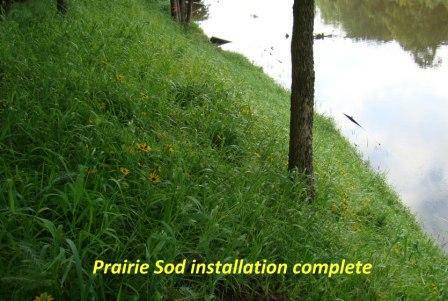 We will be happy to assist you in developing the right prairie sod to meet your specific needs, and provide you with pricing information and growing options.